OLD PARKED CARS. 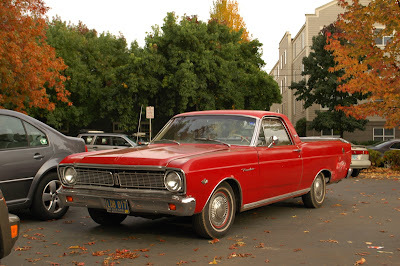 : 1966 Ford Ranchero. 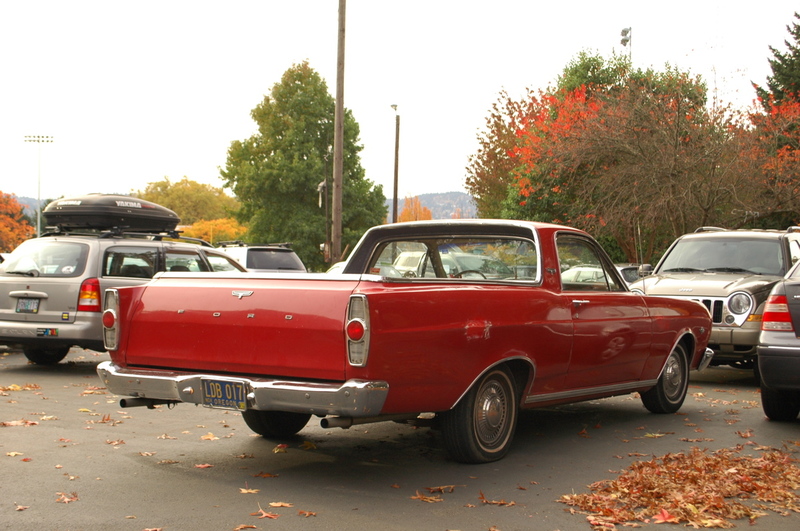 This was the final year of the Ranchero based on the economical Falcon platform (started in '60). Next year the ranchero was on the mid-size Fairlane chassis. Nice looking and utilitarian car/truck hybrid. Its biggest drawback is obvious in the side view. The best place to center a load in a truck is over the rear axle. You can see that the rear axle is much closer to the cab than it is to the rear bumper. Any medium to heavy load would weigh down the rear of the car (and make it look overloaded). 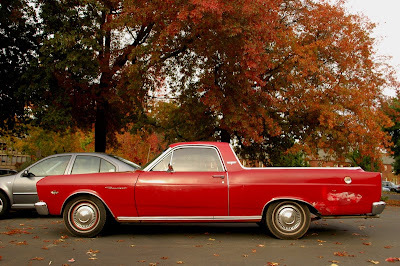 It was also around this time that Datsun (Nissan), Toyota, and even Isuzu were making inroads with their mini-box pickup trucks. 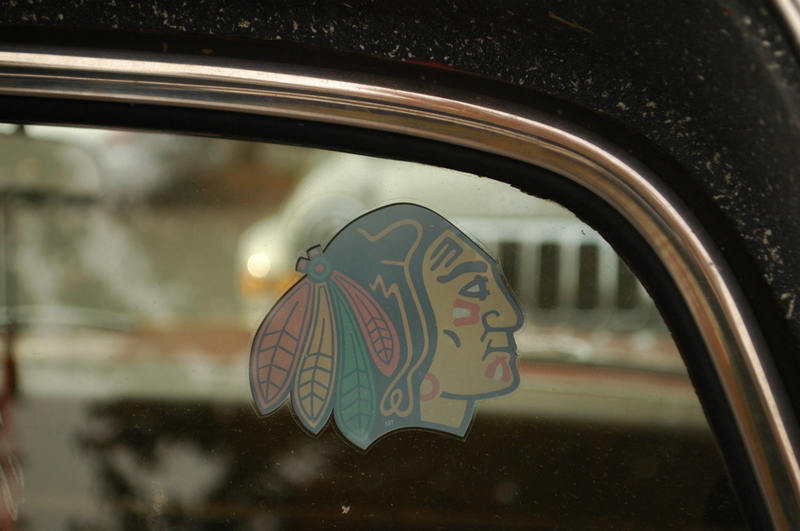 The Blackhawks decal makes it. Awesome looking ride. Aside from that small battlescar, as said before.....awesome looking ride. Thats my sons old classic! Funny to see it on here... and thats a Winterhawks sticker boyz.